Chelsea seem to be making little progress on the Gonzalo Higuain transfer as they also struggle to offload Alvaro Morata to Atletico Madrid. The Blues look in urgent need of a shake-up up front this January after a lack of goals from both Morata and Olivier Giroud this season. Speculation has been going on for some time about changes Chelsea could make to their attack, but it looks like there could still be a long two weeks ahead for the club. 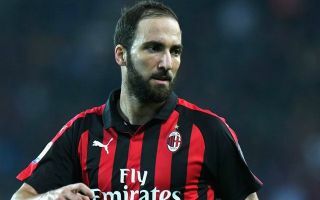 The latest is that Chelsea want Higuain on loan, according to the Mail, but there seems to have been little progress since a report two days ago from Gazzetta dello Sport claimed they’d been offered the Argentine for around £48million. The Mail also suggest Chelsea may struggle to make room for Higuain as Morata’s move to Atletico looks in some doubt due to the club not being willing to commit to a permanent deal, whilst also needing to offload players themselves. All in all, it’s a bit of a mess for Chelsea, who seem to have lost their mojo in the transfer market in recent times with a number of underwhelming purchases and a seeming lack of ability to compete with their rivals for all the biggest names on the market. Morata is one of the worst flops they’ve brought in in recent times, and they’re paying the price now as they can’t seem to get rid of him permanently without presumably making a pretty big loss on the player.